Warm and rustic, the handsome Ashley Murphy 3-Piece Table Set takes a twist on vintage-inspired style. This rugged, hand-finished trio features cool studded accents and industrial metal brackets. 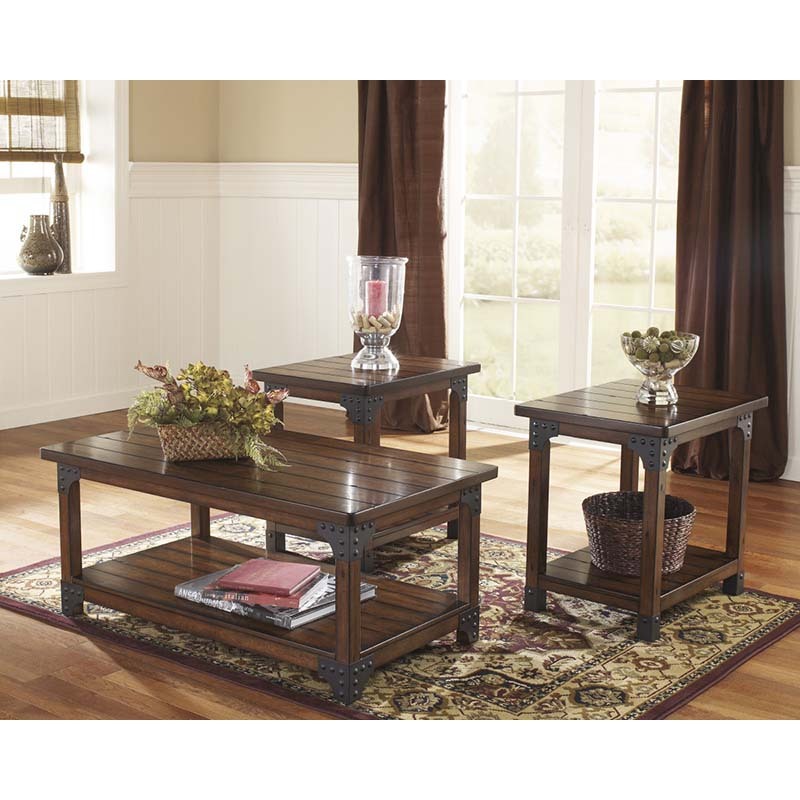 Set includes 1 coffee table and 2 end tables, all of which have a single shelf.